Enamor the crowd wearing the Alexander McQueen™ Thin Twin Skull Cuff Bracelet. Gunmetal tone skull charms at the ends. 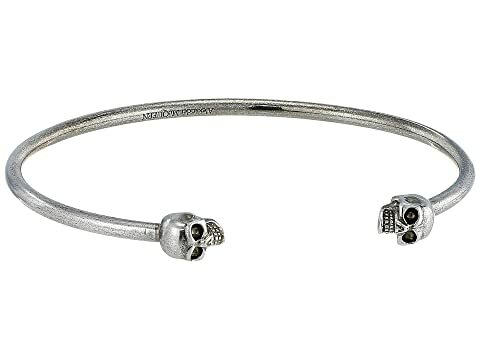 We can't currently find any similar items for the Thin Twin Skull Cuff Bracelet by Alexander McQueen. Sorry!